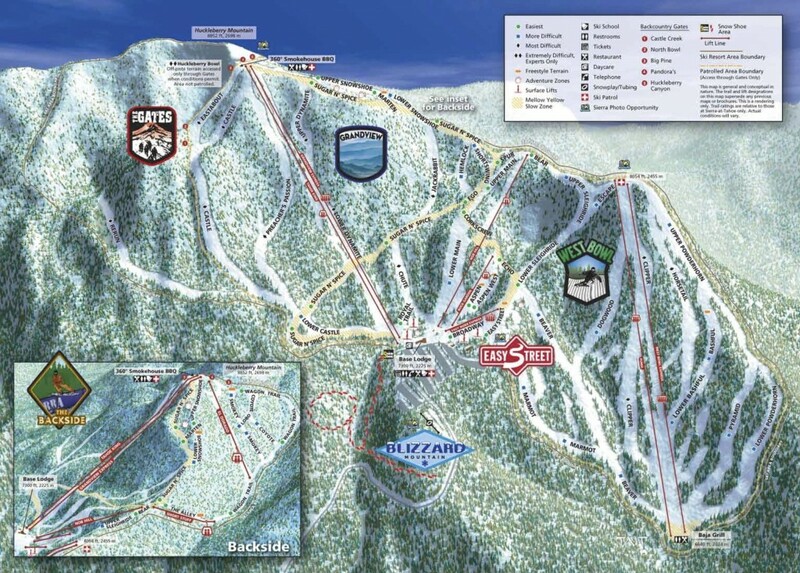 Sierra at Tahoe is the 2nd closest ski area to our Tahoe house. 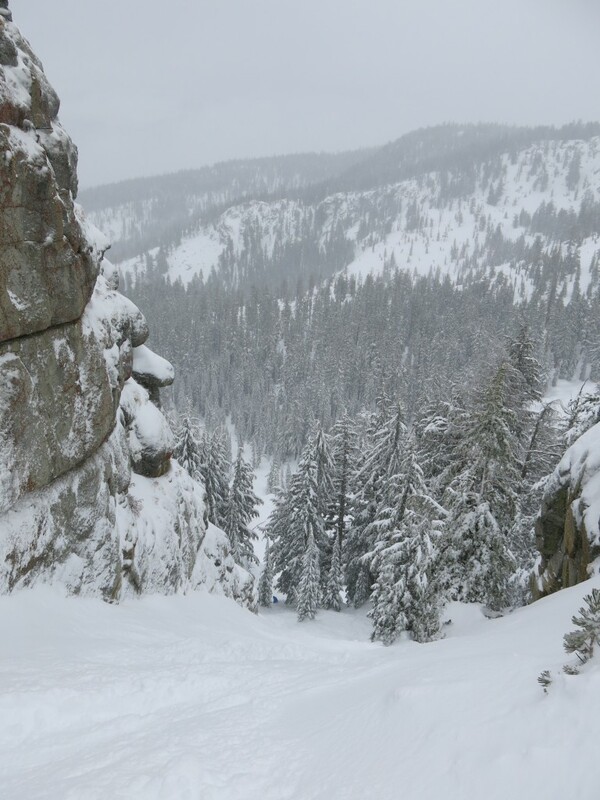 It has a good combination of attributes that make it a very popular choice for Tahoe skiers. I started skiing Sierra in the mid-90’s and have been back several times — even as a snowboarder once or twice. The area is very popular with snowboarders because there are very few flat spots that require snowboarders to unclip. It also has a younger vibe to it. They offer more lift ticket discount programs than the Vail resorts nearby, which attracts the more occasional skier who doesn’t want to buy a season pass. It’s popular with Bay Area families who go once or twice a season for this reason. The terrain is pretty good, facing predominantly west on the western slope of the Sierra Crest. 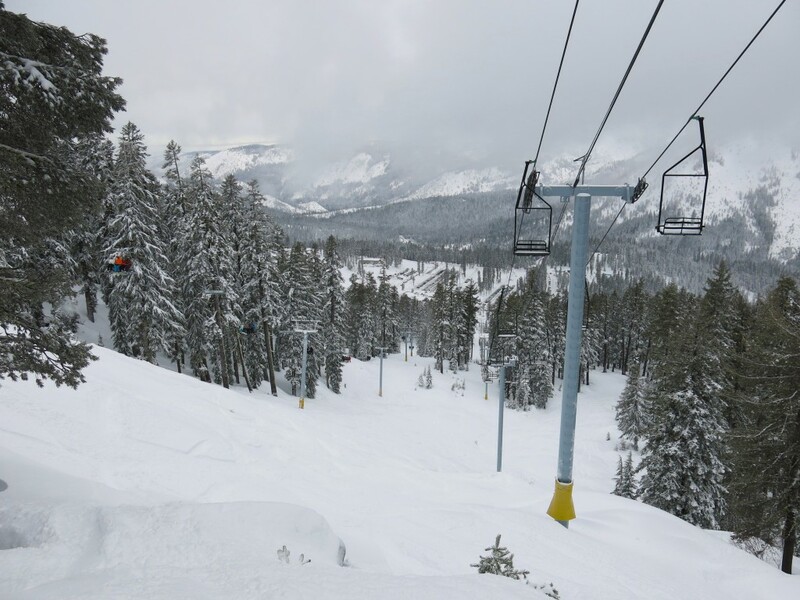 Due to its favorable location, it picks up a lot of snow — just behind Kirkwood and Sugar Bowl in annual total. 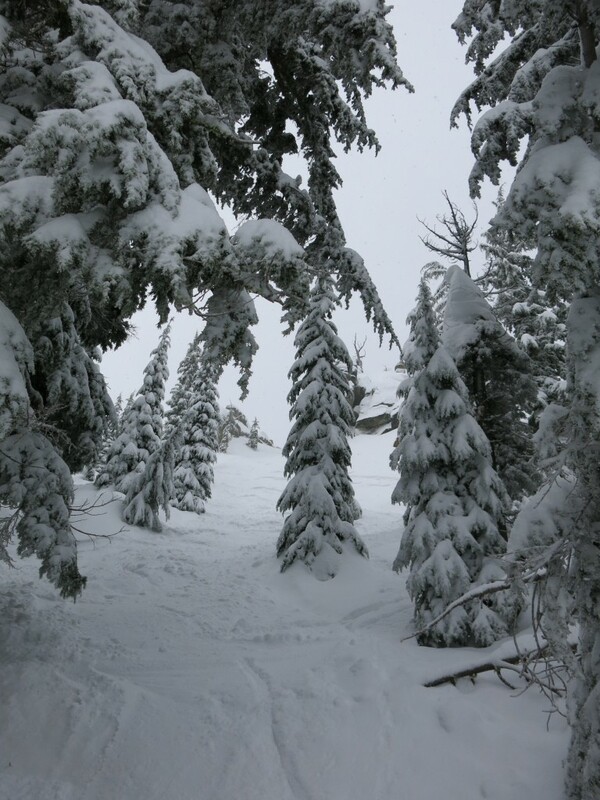 We skied there on one 36″ powder day and had trouble even making it down because the snow was so deep. They even have some snowmaking to augment in a dry year, but not enough to make it worth going if there is no natural snow. The 2 longest lifts that serve the 2 main ski pods have been upgraded to high-speed quads, which is ideal. There are many other lifts serving smaller pods, but the only one that really adds anything is a short double at the top facing south serving some short blue runs. The Grandview lift from the upper base area goes to the summit and serves some long blue and black runs. This is also where the best tree skiing is, to the north of the lift line (skier’s right). 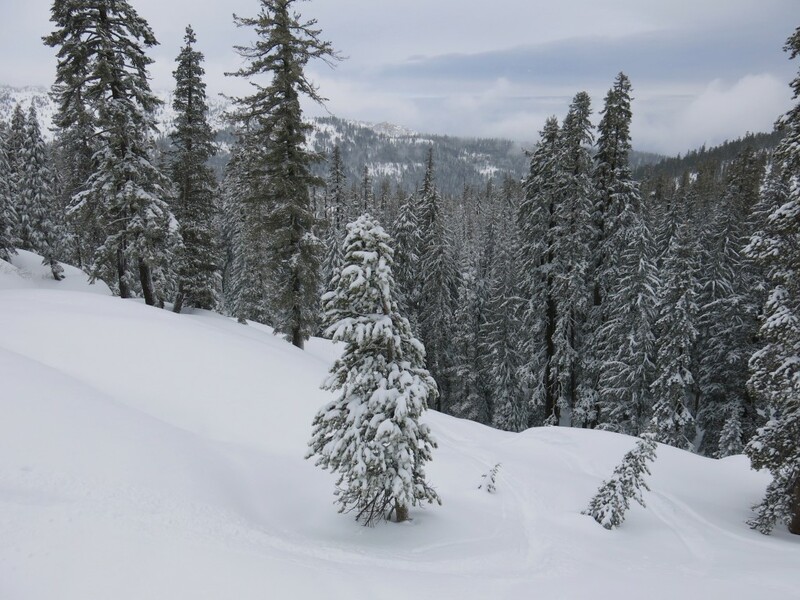 Just like at Heavenly, the trees are widely spaced and very skiable. 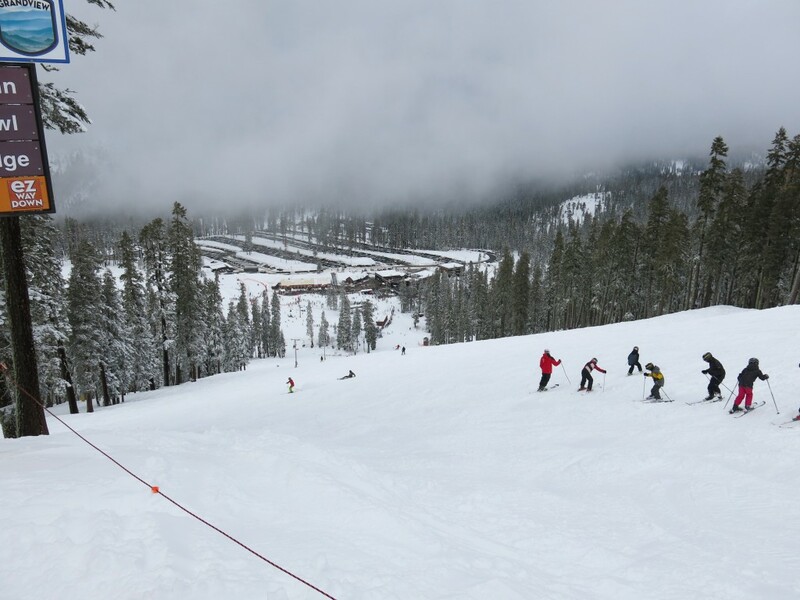 The West Bowl lift serves the best natural intermediate terrain, with long consistent runs ideal for most skiers. The elevation at the base is a bit lower there, so in some years it starts to thin out toward the bottom a bit, but it’s usually just high enough to work — especially with the usually deep snow. A recent addition to the trail map is Huckleberry Bowl. There are 5 gates into this area, and all of them are steep. 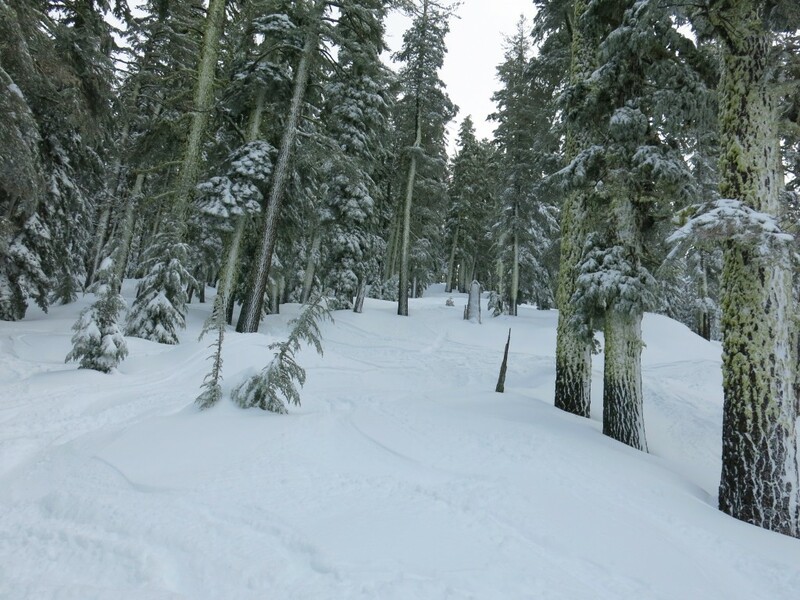 The area has a definite back-country feel with lots off rocky drop-offs, pillows, chutes, and steep trees. There are very few signs or ropes. This area is great fun, except for the hike out at the bottom. It’s a long uphill slog getting out of there, and it takes some time so laps are difficult, but rewarding. Getting there on a powder day is a huge pain because the chain control checkpoint is at the bottom of Echo Summit, on the way to the ski area. It backs up there and ends up taking a lot longer than it should. Add in the inevitable spin-outs and cars getting stuck and it’s pretty bad at times. At the end of the day the traffic tends to be bad as well, so the 15-minute drive from our house can turn into 45 easily. Just getting out of the ski area road onto highway 50 can take 30 or more minutes depending on whether there is a police officer directing traffic or not. It’s popular and thus can be crowded on weekends. The base lodge is small, crowded, and old. Sierra is a solid choice for Tahoe skiing and I’m sure we will go back. It’s not at the top of our list (7th for me, 6th for AiRung), but given the right combination of circumstances we will be back.